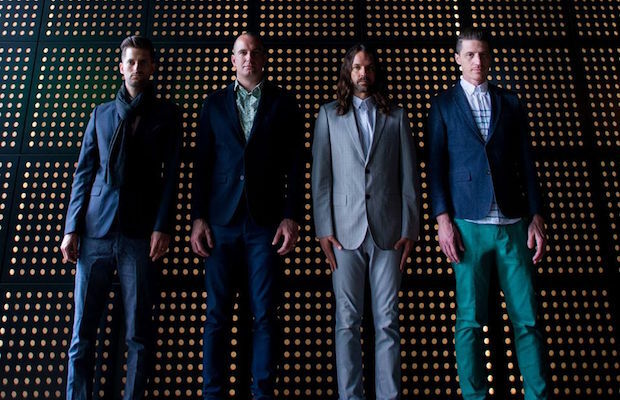 MUTEMATH Celebrate the Release of ‘Vitals’ with an In-Store Performance TODAY @ Grimey’s! As announced last month, acclaimed alt/indie rock outfit MUTEMATH, half of whom now call Nashville home, just released their highly-anticipated fourth-length album Vitals TODAY, Nov. 13! The followup to 2011’s beloved Odd Soul, the record marks the band’s first release on their own Wojtek Records, and sonically serves as a callback to some of their earlier work. MUTEMATH just headlined The Basement East for two sold out nights back in October, but are once again treating Nashville to another intimate performance, in celebration of Vitals, this time in the form of a free, in-store performance at Grimey’s today at 6 p.m.! Obviously, with a band as high-profile as MUTEMATH, it’s going to get crowded crazy fast, so plan accordingly and arrive early. You can pick up a physical copy of Vitals here, download it on iTunes, or stream it on Spotify. You can also watch the group’s new music video for “Used To,” which was filmed live during their Basement East performances, below!